In today’s vlog I am doing a big spring clean and offering my biggest giveaway ever! I have chocolate, golden milk mix and books to give away in this video. 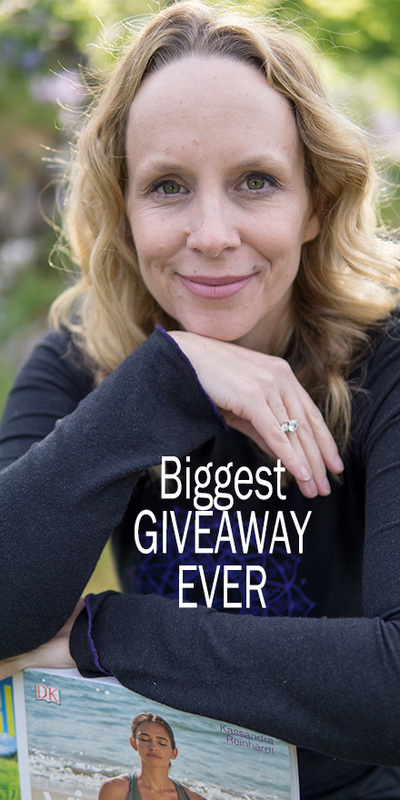 I am announcing winners and offering a chance to win 2 books in this video including Yoga with Kassandra´s Yin Yoga book and Julie Rosenberg´s Beyond the Mat. This traditional Ayurvedic before bed warm drink can help you sleep. I featured this originally in a video about how you can sleep better. I promised I would give this book away when I reached 2K followers on instagram and I have done that. This morning I put it in on my instagram stories that anybody who would like this book to message me before I came out to film this video. Congratulations to those of you who are watching my instagram stories and were on top of those fast responses. This book includes poses and practices to celebrate your body and empower your life. It is bright and beautiful. I love the mandala motif throughout. It has a 30 day plan on how to learn yoga one pose at a time. She does offer some options and tips for women with bigger bodies, but not as many as I would have expected on a whole book for big gals. It talks about some of the philosophies and principles of yoga. It talks about joining a yoga studio. There is some good advice there, but ironically nothing about some of the challenges or prejudices a big gal might face in a studio environment. Props to the encouragement she gives to online classes. This is a great book for beginners, those starting out and beginner yoga teachers looking for a way to teach beginner yoga students. 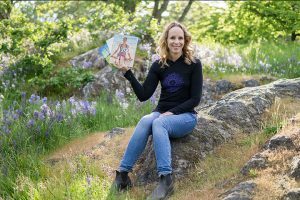 Yoga with Kassandra´s new book Yin Yoga Stretch the mindful way is beautifully designed and does what Kassandra does incredibly well: casts a wide net. She offers more than 50 yin yoga poses in this book and 20 sequences. This book is a great resource for visual learners, beginners who want to know all the yin poses and new yin yoga teachers who are visual learners. That is if you want to flip through and get ideas of what poses to sequence in your yin yoga class at a glance, this book will provide you with endless options with tones and tones of photos. If you would like to win this book put: I´m new to yin in the comments and we will enter you in the draw to win this book.